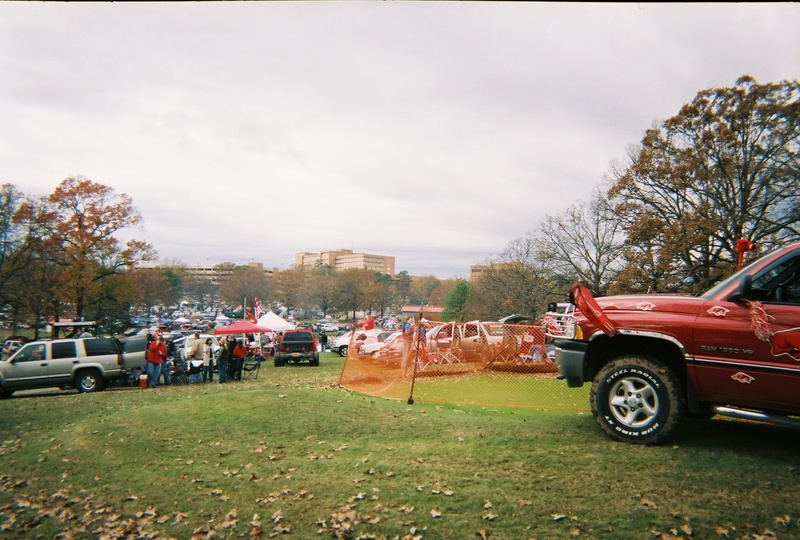 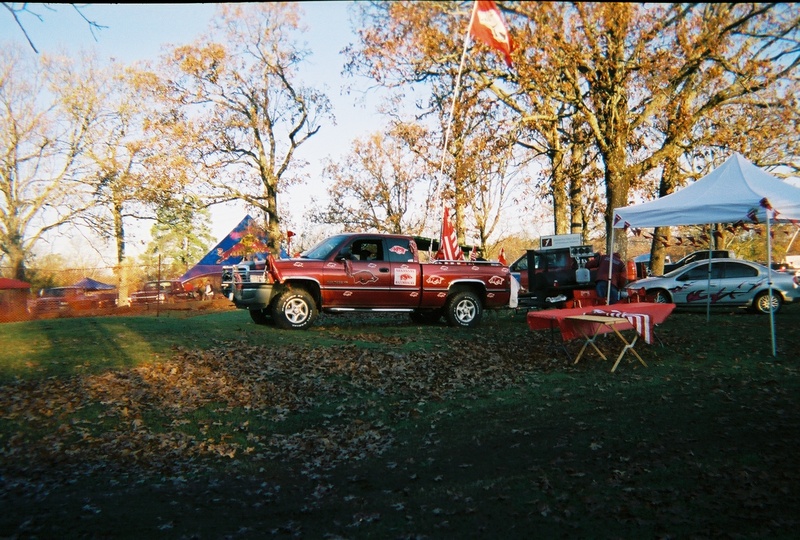 HogCall.com Tailgate Central, with csreaves' decked out truck, and the 40ft flag! 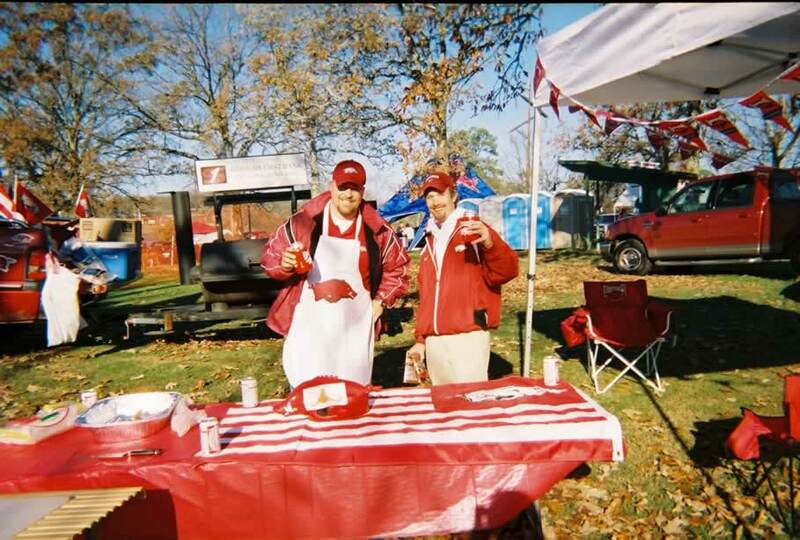 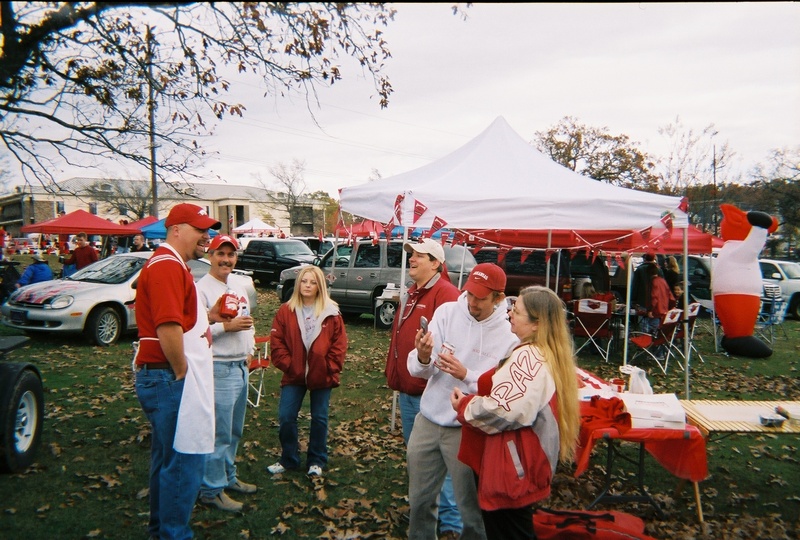 csreaves & drite enjoying an adult beverage over the flag for usarmyhogfan. Group photo. 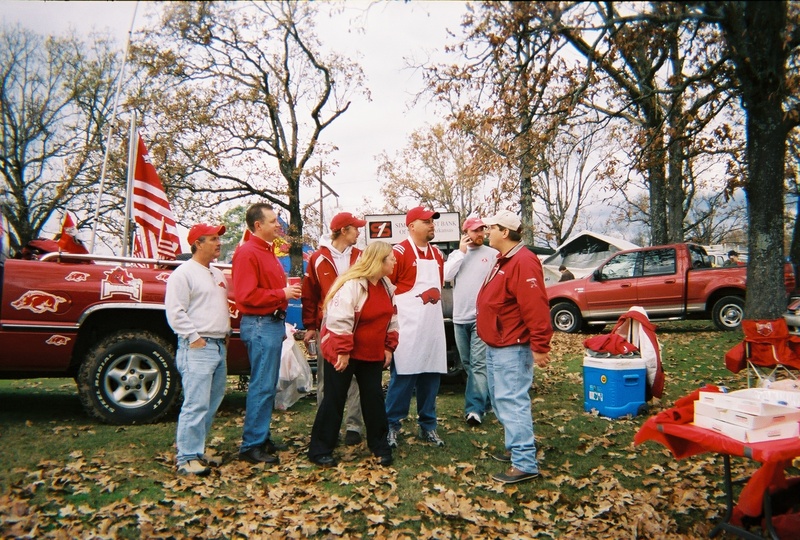 Back row, left to right - farmer, wcroark, Bryan, drite, hogaddict, csreaves. Front row - RazoRocker. 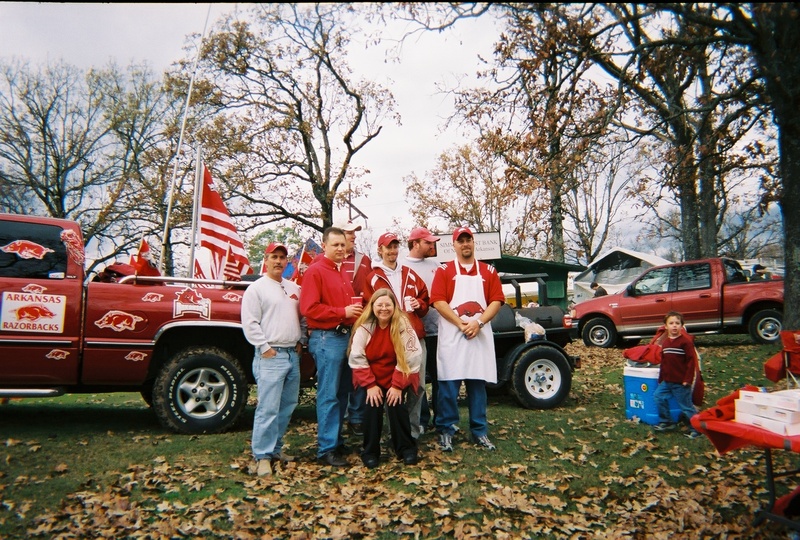 Side - 'NateHog' (hogaddict's son). 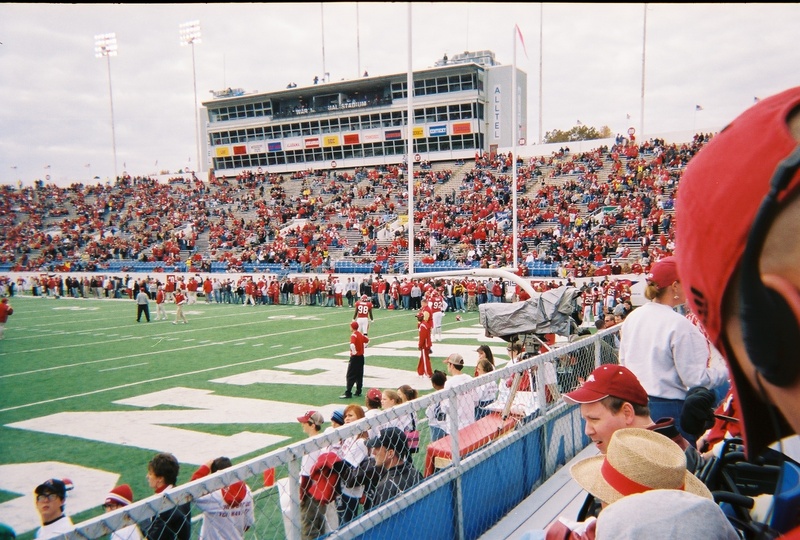 West Side of the Stadium with T-minus 15 minutes before game. 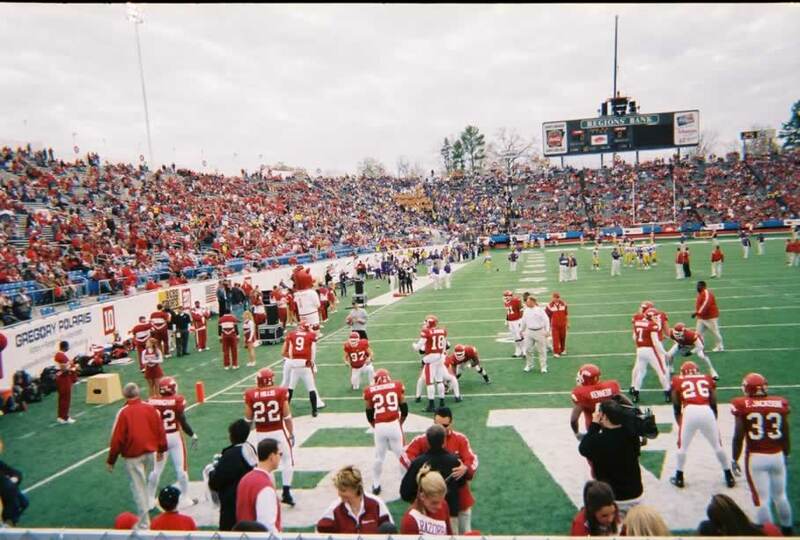 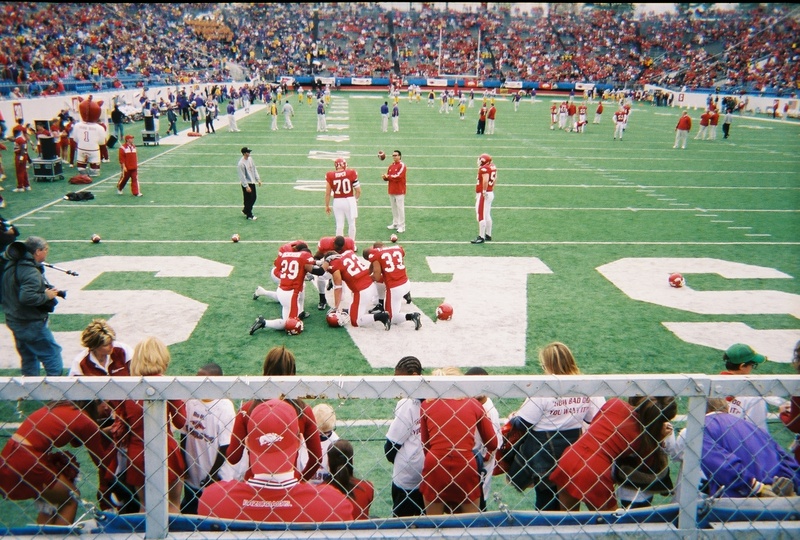 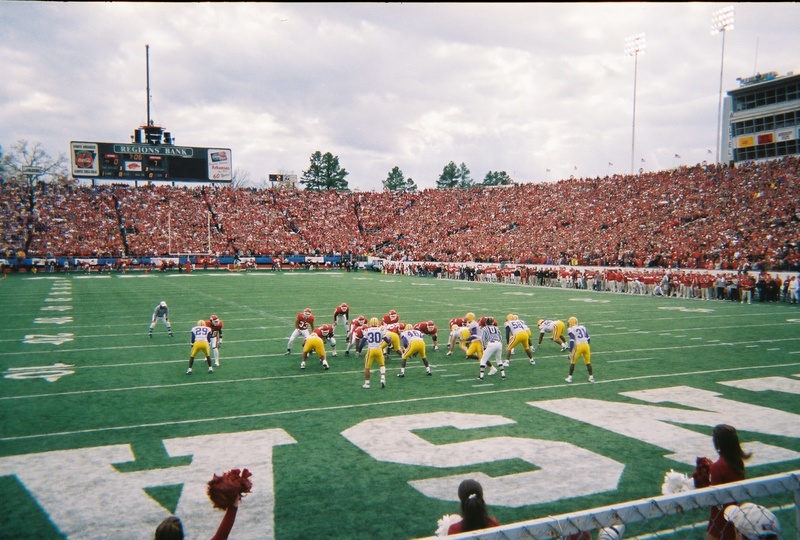 The Hogs prepare to smash the ball into the endzone.